• Permanent, non-fading black marker. SKU: MPT001. Categories: Paint Markers, Pentouch Markers. 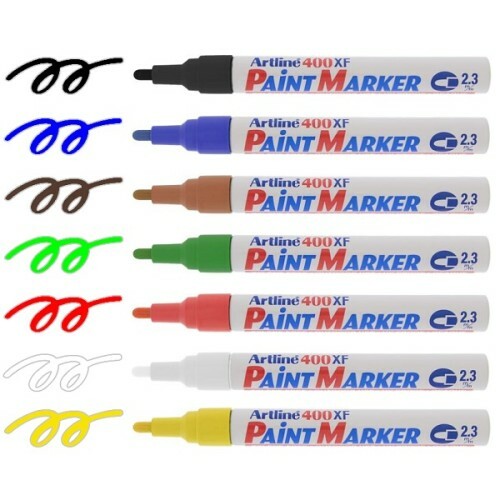 Tags: Black Paint Marker, Fine Paint Marker, paint marker, Pentouch Paint Marker, Sakura Paint Marker. Available in 7 Colours; Black, White, Red, Blue, Green, Brown or Yellow. 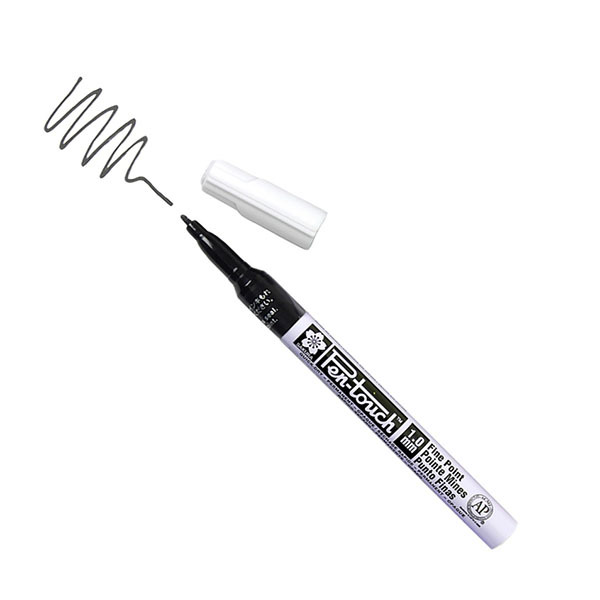 A permanent paint marker pen with quick drying ink. • The fine point allows very neat labelling. • Ideal on black plastic labels or on gift tags and greetings cards. 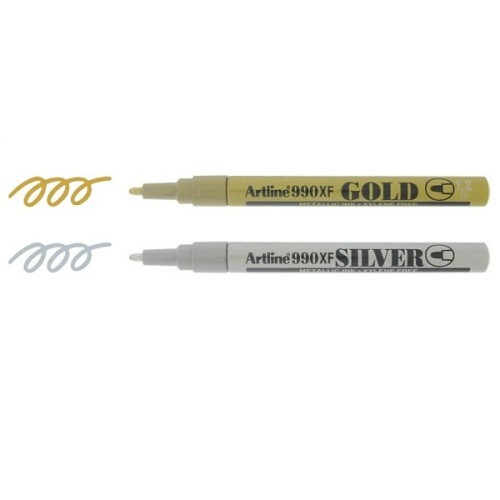 Available in gold, silver and white. 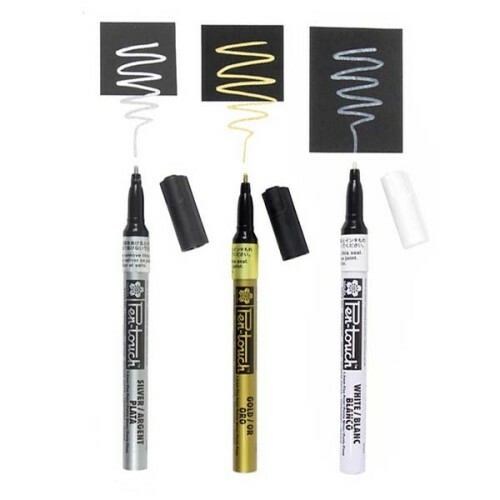 See our separate listing for our Fine Black Paint Marker – Click Here. 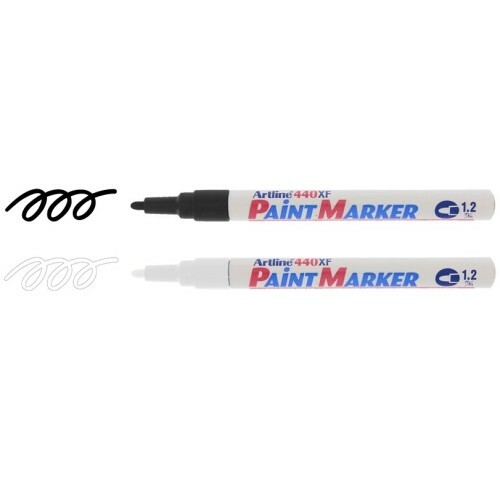 Black Paint Marker Pen – Fine available from The Essentials Company the specialist suppliers of labelling, tagging, tying, marking, and floristry sundries for business, home and garden applications.